We're a small team of Patagonia enthusiasts. Most of us have lived and worked in Patagonia long before our Swoop days, and we still visit every year. Between us, we enjoy mountain biking, wildlife spotting, trail running, bird watching, adventure racing and generally exploring the great outdoors. When we're not exploring Patagonia, we love nothing more than talking to people who are planning their own adventure. It's been over 15 years since Luke, our founder, first visited Patagonia. 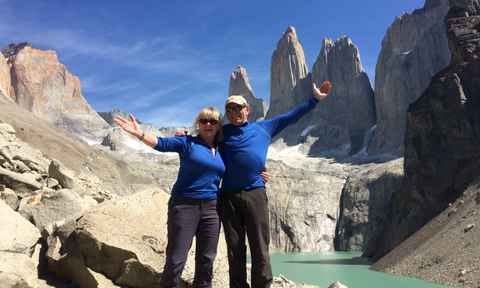 He quickly fell in love with the region, packed in his day job and launched the first online guidebook to Patagonia. Swoop, named after the Andean Condor, was born in 2010. Have you been lucky enough to live in Patagonia? 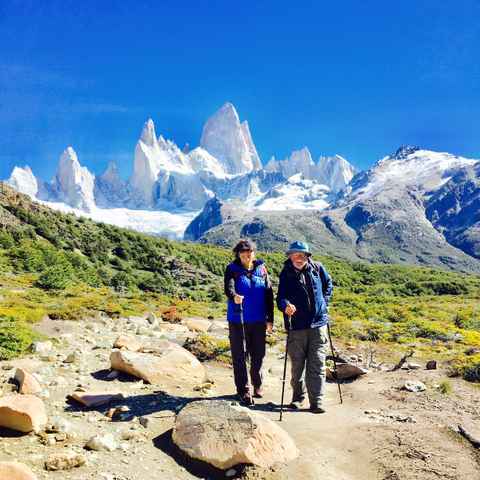 Perhaps you've hiked from Villa O'higgins to El Chalten, explored the Cordillera Darwin Mountain range or visited Tantauco National Park. If you're as potty about Patagonia as we are, then take a peek at our jobs page for our current vacancies. 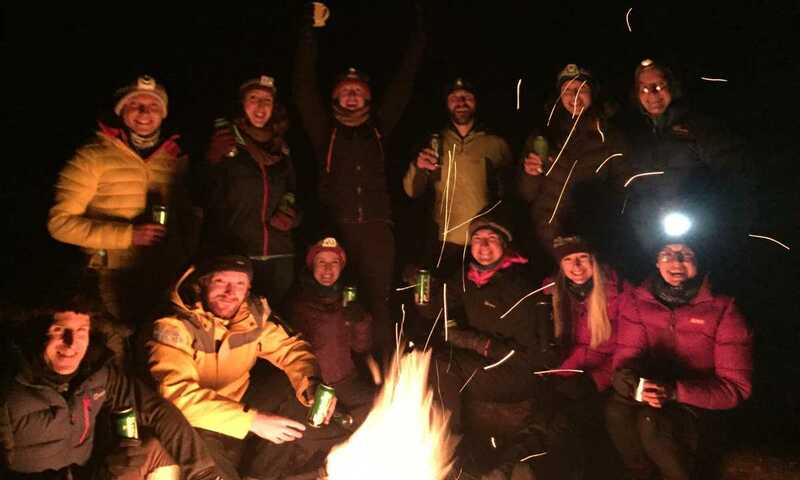 We're always on the lookout for Patagonia enthusiasts to join our team, so if we don't have any vacancies please do get in touch by emailing [email protected] We look forward to hearing about you and why you love Patagonia. I was so happy with the advice I received from Natascha. She was amazing, quick to respond (especially on our last minute timeline), and knew exactly what we wanted. More than that, there was no pressure to buy anything - just a true sense that she wanted to help make our honeymoon the best it could possibly be. I would definitely seek Swoop's advice again and I plan to use them for our next trip! 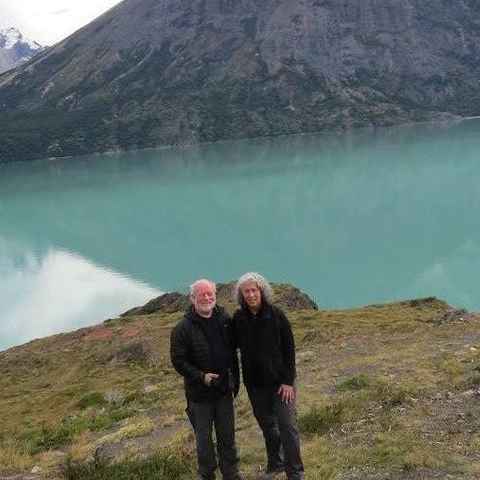 Our experience in Patagonia exceeded all of my expectations; the scenery, the people, the places we visited. We were blessed with perfect weather, which made all of our hiking experiences amazing. The views and environment were even more striking than I had hoped. I can't recommend this experience more highly. I found the entire booking process easy and straightforward. The staff answered all of our questions in a timely manner and communicated effectively. This helped to alleviate any nerves! Swoop's portion of the preparation was flawless. Your instructions were detailed and great. I'm already looking at some future trips that I can take with Swoop. I feel confident that I will find just the right one with Tom as my go to guy. Harriet was very knowledgeable, it seemed like she knew parts of Chile backwards. She seemed to know the local operators & their worth. She was always on the lookout for what was available & ensured that I could make an informed choice. 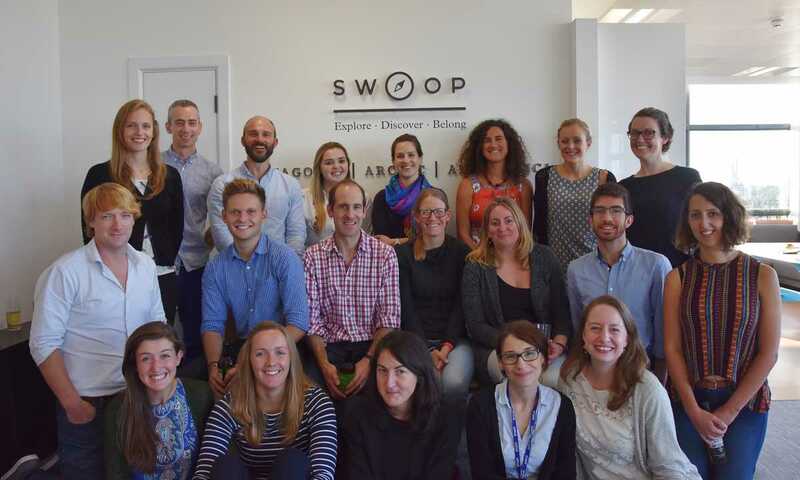 Swoop did a great job from quickly helping us plan the trip, offering up a great itinerary to the emails and responses we received on the trip when something needed to change. We always received quick feedback on any questions we had, especially during the trip when we had to use the 24/7 support. Without your help, I'm not sure that we would have booked this trip. We really appreciate your genuine interest and enthusiastic assistance. 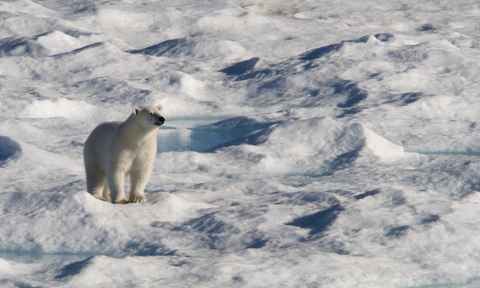 We really valued Swoop's expertise, and the fact that you had been to the places we were going. You couldn't have done more. Sally was excellent and helped shape and book our dream trip. We'd recommend you every time, and hope to travel with you again. Swoop was great. The itinerary ended up being perfect for what we wanted (a lot of activity, a lot of different places to see, and a mix of accommodation types). The team was always very responsive. Your best performances were in expedient and accurate communication - no question was left unanswered. I would ABSOLUTELY recommend you. First-hand advice from people who know the region just makes planning so much easier. It is easy to put people in fancy hotels but hard to plan a trip that meets the individual’s needs. You planned just the right variety and pacing for us. Thank you so much for all your help. Find out what the press have to say about us. 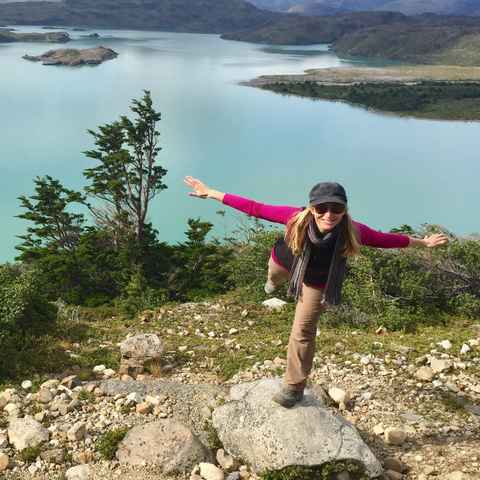 Three reasons why you should to choose us to help you plan your Patagonian adventure. 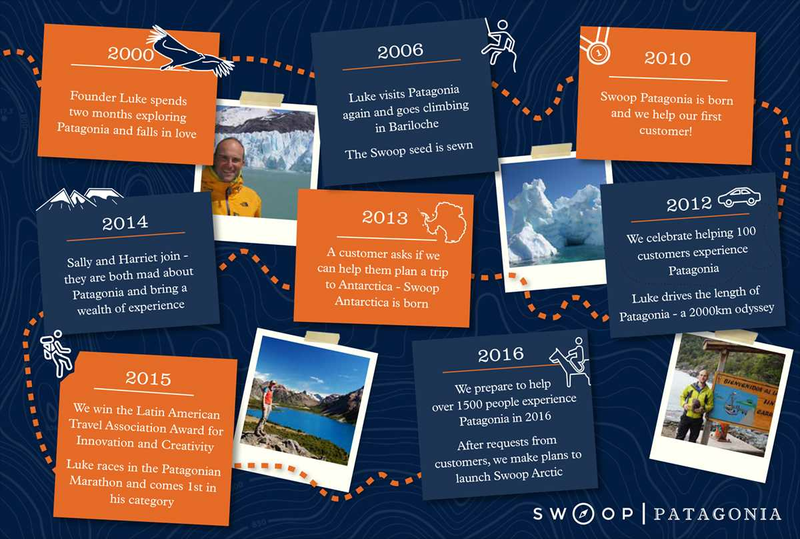 We lived and worked in Patagonia long before our Swoop days, and we still visit every year. 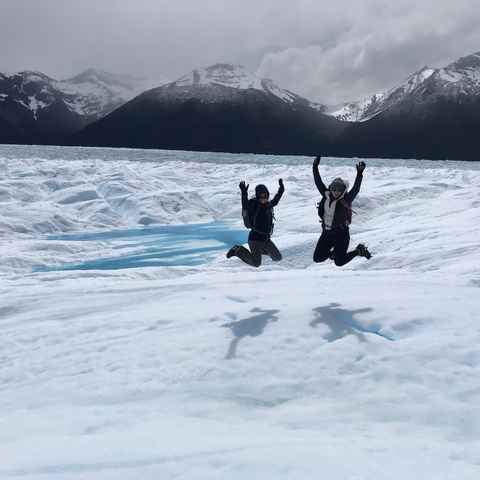 We only help people with extraordinary Patagonian experiences, because it's a region we're passionate about. We can give you advice and personal recommendations for where to go, where to stay and what to do. If you happen to be in the area (UK folk - we're in central Bristol), you can even pop into our office for a cup of tea and look our wonderful wall of maps. Through our family of kayaking, horse riding, hiking and cruise partners, we've got the whole of Patagonia covered - no one else offers you such incredible regional knowledge. We know all our partners' specialisms and strengths and we can match them up with your needs and budget. We'll listen to what you want from your trip and we'll suggest an itinerary, trip or place to stay based on your exact requirements. We rarely arrange the same experience twice. Plus, because we work directly with partners in Patagonia, your money goes to the local community. You can book your entire, personalised trip with us or we can recommend local partners so you can book trips directly with them. Whatever help you need with your trip arrangements, we can also provide advice and support when you're planning your trip, because we know that creating the perfect itinerary is so important. Whether you just want us by your side, giving impartial advice along the way, or taking the reins and arranging everything for you, we'll help you plan and book your perfect trip. Read more about the two ways to book your trip. We help our partners to market themselves to the international market; so when we introduce you to them and you book a trip, they pay us a small commission, and when you arrange your tailor-made trip with us, we are able to negotiate better rates with them and charge a small mark-up, to cover our time. Either way, the price you pay is the same and you'll benefit from our free, impartial and expert advice.